Stephen Segovia's exclusive Supergirl print - just one of many goodies you can expect at Invasion! 's opening this weekend. Get ready for a pop-culture invasion this weekend when Invasion! Toys & Collectibles opens its new retail outlet at Funan DigitaLife Mall. The computer hub’s getting jazzed up by the entry of this new player, which joins Battle Bunker, Black Tactical, La Tendo, and Rapid Culture on level 5. Invasion!’s set to infuse the place with a fresh dose of Western chic. The store promises to be a platform for visitors, not just to indulge their inner geek, but also to connect with celebrated art creators and illustrators from around the world, who will be making regular store appearances and signings. And talking about store appearances, comic-book artist Stephen Segovia will be in town for the official opening, and he will be joined by local artist Sonny Liew and Indonesian illustrator Rudy Ao. The trio will be offering exclusive art prints, and taking limited commissions for the event (you can e-mail your requests to Invasion!’s owners here), so if you’re a fan, this is one chance you don’t wanna pass up. Also, don’t forget to check out Invasion!’s official site, and Facebook page here. STGCC’s only a week away, and in our final roundup, we put the spotlight on the cosplay contest and some of the exhibitors gracing the show floor. 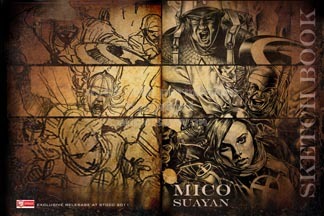 We’ve also got some great news for Mico Suayan fans. The finalists for Cosplay @ STGCC were announced on Thursday, and it looks like cosplay lovers will be in for a treat! Contenders for the STGCC title include established cosplayers from the Philippines and WCS finalist from Malaysia, and they’ll be on stage from 5 pm to 7 pm on Sunday (21 Aug), jostling for the top prize of $1,000. Nothing beats going to a con and going home laden with armfuls of loot, and we single out a few booths worth watching for. Benjamin Ang (#F33) Benjamin’s the first (of hopefully many) Singaporean talents to get a gig with Marvel following last year’s Portfolio Review. He’s got my vote of confidence, so do pop by his booth to support this rising star. Setting up shop in the artist’s alley is Kelvin Chan (#G48). 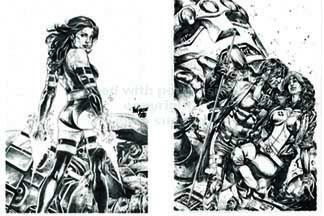 Be sure to drop by Kelvin’s booth, especially if you missed his awesome work at Comic Art Show 2011. He’s also got special limited edition Conan the Barbarian prints on sale, and if you’re really, really lucky, snagging one of these 100 signed and numbered pieces could also snag you a ticket to the movie screening. 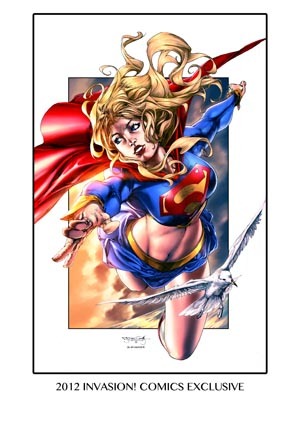 Our friends Noval and Rudy AO will also be putting in an appearance at (#G36), where they’ll be sharing a booth with the amazing DC illustrator Ardian Syaf, while Marvel’s Harvey Tolibao will also be showcasing his pieces a couple booths down, at (#G40/42). And now, a little something for the manga fans. If you like Knightcat’s work, she can be spotted at (#G25) where she’ll be selling her prints and merchandise. Also, Rixou of art group Soraworks will be debuting a 35-page graphic novel at (#G21) (that’s just a few booths away! ), so do take note! And while we’re on the topic of book launches and debuts, Mico Suayan, who has done some really marvelous work on Moon Knight, Thor, Wolverine and the X-men will be putting out his sketch book at the Elseworlds booth at (#E22). This exclusive STGCC 2011 release will feature some of his best sketches and cover art pieces, and is definitely something not to be missed. Action City‘s booth at (#E2) is where the Hot Toys action is at. That’s where you can grab your share of limited edition STGCC exclusive Batman, Iron Man and Predator figurines. Evirob, Gloomy & TO-FU Oyako loyalists can check out Play Imaginative at booth (#B2), while Simply Toys (#F11) and The Falcon’s Hangar (#D18) will be stocking their own treasure troves for the discerning toy collector. The China Square Central regulars will be there too, so look out for some of their kickass stuff for sale. Check out Harris Planerds (#B14). 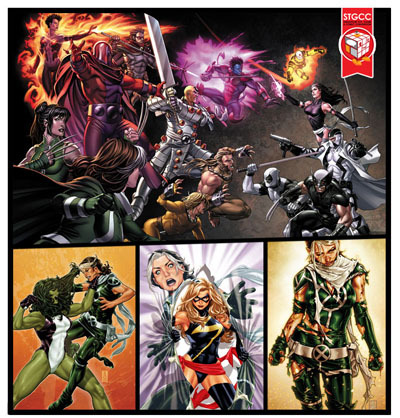 Our Planerds friends have promised to keep graphic novels and trade paperbacks by the big names handy, just for STGCC. No con is complete without photography and video coverage, and this year, we’ve got something ambitious planned for con goers and cosplayers alike. The Neo Tokyo Project will be doing a photodocumentary at STGCC, and we’d love for you to be a part of this blog exclusive feature. So if you’re gonna come dressed in geek chic or in costume, we want you to share your story with us. Joey and I will be roving the show floor in steampunk costumes inspired by Joe Benitez’s Lady Mechanika, so do say hi if you see us! We’ll also be doing an MTV style convention video on Day #1, so do look out for our camera crew (they’ll be wearing The Neo Tokyo Project t-shirts), and pose for the cameras! Until this coming weekend, folks. Cheerio! With the Singapore Toy, Game and Comic Convention (STGCC) happening in little more than just 3 weeks time, here’s a quick look at what the event has to offer. If you’re a cosplayers, there’s the Cosplay Contest happening on the second day of STGCC. 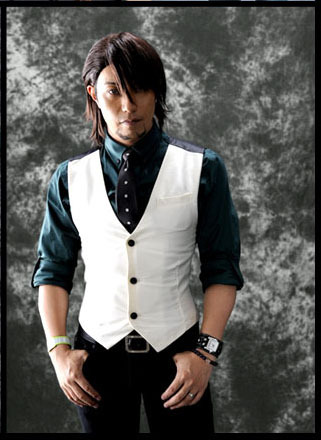 You’ll also get a chance to meet with celebrity cosplayer Kipi, as well as the editor and team from COSMODE magazine. What’s more, the COSMODE folks will be roving the show floor, taking pictures of cosplayers, so come in your best outfits. Who knows? 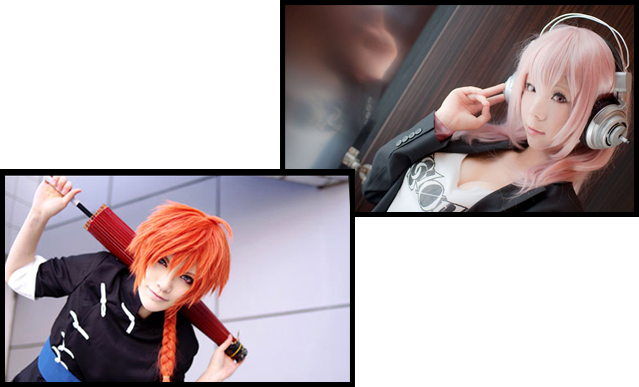 You might become Singapore’s next cosplay star. Otakus also have something to look forward to. 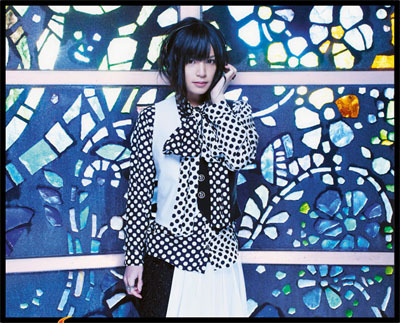 Both character artist Kishida Mel , as well as voice actress Itou Shizuka will be in attendance. Oh, and there’s a *coughVocaloidcough* dance party too, if you’re into that sorta thing. I’m totally geeking out over the guests at this year’s event, who will be here for signings, talks and more. If you’re big on comic writing like I am, don’t you dare miss Paul Levitz and Kieron Gillen, and if you’re the arty type, there’s peeps like Mico Suayan, Harvey Tolibao and Steven Segovia to whet your creative appetites. If you’re an artist hopeful, there’s the Portfolio Review by C.B. Cebulski, arguably your best chance to break into the comic book scene. Closing date for registration is 12 August though, so if you’re still getting your portfolio together, it’s time to step it up! There’s also gonna be an artist’s alley for those who want a piece of something different. The artists from Comic Art Show 2011 will be there too, so if you missed your chance to meet them, STGCC’s gonna be the time. If you’re popping by STGCC for a stab at swag, then you’re in luck. There’s loads available, including limited edition Batman, Iron Man and Predator figurines from the Hot Toys booth, as well as other exclusive products. Check out the STGCC website for a full list of details. 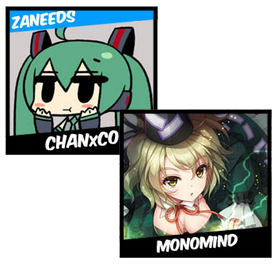 We’ve got something in the works for STGCC too, and it’s not just the exclusive interviews we’ve managed to schedule with some ninja guests from overseas. 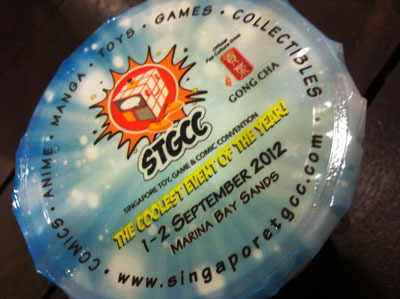 STGCC takes place on 20-21 August 2011. Tickets are available at the STGCC Official Website, and at selected stores islandwide.